Next message: [chuck-users] miniAudicle mailing list? hi all, chuck in heavy use here! Sideband and the Princeton Laptop Orchestra (PLOrk) are pleased to announce the release of The Sideband Chronicles, a monthly series of laptop ensemble pieces, artfully filmed and recorded, presented along with their histories, motivations, and information about how others might perform them. Our first Chronicle is Jascha Narveson’s In Line, a visually beautiful “game” piece performed with the now standard laptop performance interface, the tether. Forthcoming Chronicles will include works by Konrad Kaczmarek, Anne Hege, Jeff Snyder, Dan Trueman, Lainie Fefferman, and others, and will span all of 2015 and beyond. 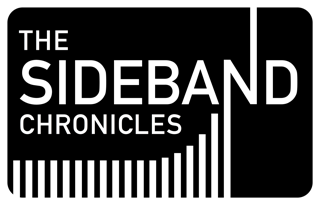 Learn more about The Sideband Chronicles, Sideband, and PLOrk.